Maready of The High Ponytail is responsible for my pulling out this chestnut. He's determined to get us all to listen to more classical music. 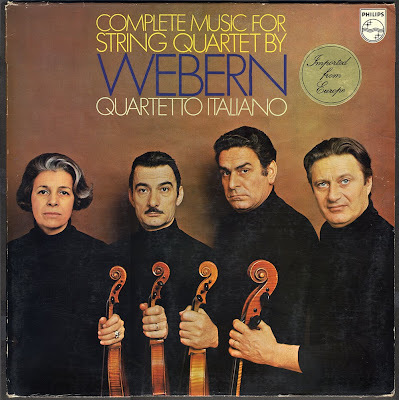 Check out his post of Robert Craft's complete Webern box from 1959, which Columbia probably deleted shortly thereafter. "In 1973 Evoloko created a new dance that swept the capital. Shungu Wembadio gave it a name, cavacha. There are many stories of how the cavacha evolved, one of which Evoloko told himself. It seems a papa boufon, a street character, amused Evoloko's neighborhood with a dance of exaggerated hip movements that resembled a football player's feints. The dance, he said, came from the Sakata people along the Kasai river. He had simply modernised it. 'In the beginning I couldn't get my legs and shoulders synchronised. But by rehearsing I managed to come close to the tradition.' The cavacha rendered all the current dances passé." 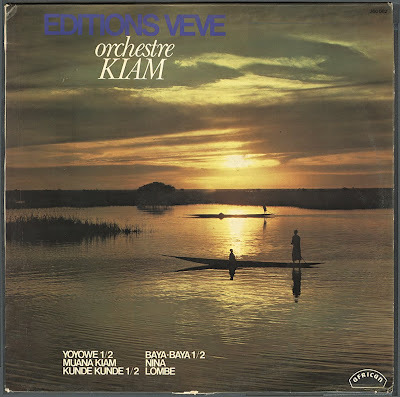 My intro to Orchestre Kiam was World Passport's Kinshasa - Nairobi Express #4 mix, @ http://ethnomusic.podomatic.com, complete with a claim that the guitar solo on Kiam b-side Memi was the best in the history of music. Not that far off the mark, as it turns out. 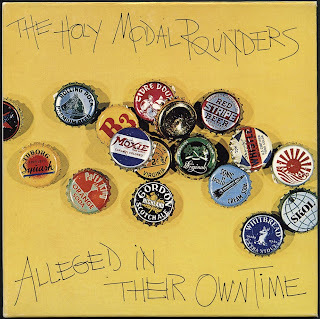 "It wasn't until 1970 that we started Rounder Records but one of the reasons for the name was the Holy Modal Rounders. It was they who introduced us to Charlie Poole. Since we started, 'Rounders On Rounder' was one of the things we wanted to do the most. Another is a Ramblin' Jack Elliott record. It gets kind of confusing when both sets of Rounders are together since everybody's talking about the Rounders but it's not always clear about which set. We wanted to do a Stampfel and Weber album but Robin was there and he wrote Euphoria and was legendary, and Peter brought friend Luke Faust up and it grew and grew. Weber was kind of out of it most of the time, unfortunately. Well, it's finally here. We don't have much else to say right now, at least about this."